Never brewed before? 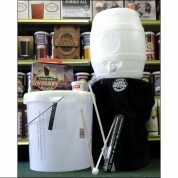 Our starter kits contain everything you need to make your first home brew: as well as the beer (obviously!) the kits contain all the equipment, ingredients and additives you will need.